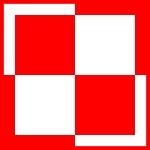 For more information about possible identification of Tomicki Stefan, Marczuk Władysław and Kniażycki Tadeusz W. Z., please contact the webmaster of these website. KNIAŻYCKI Tadeusz Władysław Zbigniew  kpr. bomb. MARCZUK Władysław kpr. r/op. strz. On 9.4.1943 Wellington HE 148 was shot down on 23.07 hours by 1. Marine Flak Abteilung 816 Dünenberg. The aircraft crashed in the North Sea 20 km West of IJmuiden, the Netherlands. Rudek Jan washed ashore on 10.4.1943 near Castricum and Stępien Stanisław near Egmond aan Zee. The same day washed ashore near Castricum un Unknown Polish Airman as well. They have been buried on 13.4.1943 at Bergen, the Netherlands. On 10.5.1943 Ślusarski Stanisław washed ashore near Petten. He has been buried on 11.5.1943 at Bergen as well. Tomicki Stefan, Marczuk Władysław and Kniażycki Tadeusz W. Z. are missed.